Scientists have published over 100+ peer-reviewed hypotheses to explain why whales strand. They say there is partial truth in all them. In other words, whales strand for hundreds of different reasons and scientists need more taxpayer dollars to come up with more dumb ideas. Just recently, NOAA, BOEM, and the US Navy gave them $millions$ more to study solar flares and coronal mass ejections as the cause of whale beachings on Earth. As it always has been in the past, this effort was a total waste of taxpayer dollars. Bottom line is that whale scientists have been wasting money that should have been spent helping poor kids get a better education. Obviously, NOAA, BOEM and US Navy decision makers are involved in a kickback scheme to steal money from US taxpayers. In other words, just another government scam in the swamp President Trump promised to clean up! THE PUBLIC NEEDS A WAY TO CATCH THESE LIARS! But first, watch the NatGeo video below. Notice that the announcer closes by asking: "What might have disoriented them?" Since odontocete (toothed) whales navigate using the most advanced biosonar system the world has ever known, the announcer is really asking what might have caused their echo-navigation system to fail. The funny thing here is that the failure of their echo-navigation due to an injury or sickness has never been investigated by anyone except the Deafwhale Society. But whale scientists have advanced ideas like sand, air bubbles, and gentle-sloping beaches blocking their sonar. But they have never advanced a theory that a US Navy explosion used in ship-shock tests might disable biosonar. Now don't get wrong, some scientists have said an explosion might cause disorientation and stranding. Others have denied this idea. In other words, scientists paid by US Navy grants are still arguing, which means they need to spend more taxpayer money to settle the argument and this arguing could go on for another 50 years while the whales slowly disappear. We don't have that much time. We need an easy foolproof way to determine if there is a medical reason why biosonar fails in an entire pod. I should mention here that the active stranders like pilots, false killers, and sperm whales do not use their eyesight to navigate forward. Their eyes are set on the side of the head and used to see danger approaching from the side or the rear. In other words, what we need is a simple way to determine if stranded whales and dolphins are using their forward-looking echo-navigation system when they swim into the beach. But, of course, if the incoming waves are pounding the beach and making bubbles and stirring up the sand, we might suspect their echo-navigation is being defeated by external causes. But hold on a dang minute. If the waves are pounding the beach and bouncing their sonar signals in all directions, what the heck is a pod of healthy whales doing inshore in rough water? Healthy whales would turn and return to deep water where their forward-looking navigation system works just fine. They would not continue forward if their sonar was not working. If they were that stupid, they would have gone extinct millions of years ago just like the Dodo bird. One more thing I should point out before we get too deep into echo-navigation failure. Whales NEVER strand when the sea is flat calm. Whales only strand when the tidal-flow and/or wind-driven currents are washing ashore. Here's another tidbit: stranded whales can never be persuaded to swim back out to deep water against the inflow of the current. All so-called successful refloatings must be done when both the tidal and wind-driven currents are washing out to sea. If we can figure out why whales always strand when the current is washing ashore and never strand when the current is washing out to sea, we have solved the centuries-old mystery of why whales strand. Keep in mind that our method of observation must tell us if the whales are navigating into the sand or swimming accidentally into the sand! If they are swimming blind into the sand, then they are indeed disoriented/lost. AND THERE IS A WAY TO FIGURE THIS OUT! To determine if their biosonar is working all we need to know is the direction that a group of lost human swimmers would swim in relation to the flow of the surface currents. To find out, I took 12 snorkelers one mile out to sea and had them put on blackened face masks. I then swung the boat in circles until the blindfolded swimmers had no sense of direction. Then they all jumped into the water together and formed a pod of disoriented/lost humans. In less than one minute, all 12 were swimming downstream with the flow of the surface currents. Whale scientists could easily reproduce my findings. They do not need to venture off into outer space. And they don't need to steal taxpayer money. Let's go back to the blind snorkelers. They had no idea if sharks were a few feet below them or if they were about to swim into a pile of jagged rocks. They reported that not being able to see what was in the water or where they were going made them extremely fearful. Staying within hearing distances of each other gave them some comfort. I can imagine that a lost pod of whales would like to stay in a tight group for the same reason. They would also have the same fears. But whale scientists say odontocetes are socially attached to each other. If you were a whale and something had disabled your forward-looking sonar, would you stay close to your mates? Is this so-called "social bonding" identical to the fear my pod of humans felt. This indicates stranded whales, or those about to strand, are not so attached out of love for each other as they are out of fear of being ripped apart by a shark or slammed into the jagged rocks by a wave. In other words, the observed "social attachment" is simple fear of being in an unknown place with no acoustic sense of direction. Now back to my pod of humans... the energy that ensures their down current swim path is called hydrodynamic drag (resistance). It is a force exerted by the flow of the water against the upstream motion of a swimmer. Drag can increase 10 fold if the swimmer swims against a fast current. Drag disappears completely if the swimmer turns and swims slowly downstream with the flow. Because water is 800 times denser than air, resistance to swimming against the flow will always turn a group of lost humans, or a pod of lost whales, and point them downstream in the path of least drag (aka: the path of least resistance). Said plainly, all non-navigating/lost swimmers swim downstream--no exceptions! As it turns out, the drag force makes it easy to determine if a pod of whales has lost their forward-looking biosonar. If they are constantly swimming downstream with the flow when it would obviously be safer for them to swim in the opposite direction, then we can be for sure they are not echo-navigating. The flow of the surface currents is determining their travel path. Let me say this a different way. Suppose we see a pod of whales 100 meters from the beach swimming towards the sand where they will likely die in great pain. We can safely bet their forward-looking navigation system is working only if they turn about 50 meters from the beach and swim back to deeper water. Let me insert another change of direction. Suppose the waves at the beach are roaring ashore. Healthy whales know what rough seas breaking on a beach sounds like. They can hear the roar from 10 miles offshore. They know that air bubbles and suspended particles of sand block their sonar so they decide not to visit the beach on a rough day. It's just common sense. So, we can be sure if a pod of whales continues to swim into a deadly sand trap, something is wrong with their forward-looking echo-navigation system. In other words, all we need to do is observe the swim path in relation to the flow of the tidal and wind-driven currents. If the whales are suffering echo-navigation failure, they will swim with the flow that will guide them to the sand trap. If their echo-navigation is working, they will turn before reaching the sand and swim away. In fact, if their sonar is working, they will likely remain a mile offshore. There is plenty of proof. Suppose a pod of non-navigating whales are near a beach. Now suppose there is a slack tide and very little wind-driven currents to guide them. Will they swim to the beach, out to sea, or slowly mill around in an aimless direction as you can see in the video below? The current needs to flow in some direction to guide the lost whales. It is so easy to see that the whales in the above video have no forward-looking sonar. If whale scientists were to read this article and look at this video, there are only two things they could say: (1) we didn't understand these simple observations, or (2) we've been lying to the public for 50+ years so we could rob US taxpayers. But one whale expert did mention the connection between the flow of the surface currents and whale strandings. In a rather confusing study published in 2005, Dr. Daniel Odell supports the idea that beached whales are being guided ashore by the current. His publication was the closest whale scientists ever came to solving the mystery of why whales mass strand themselves. However, Dr. Odell was mistaken to suggest that the whales guided into the sand by the inflowing current were following prey. How could whales follow prey in the rough breaking surf zone? He never considered the whales had lost their ability to echo-navigate. He knew they had no food in their stomachs. Why didn't he wonder if they could dive and echolocate their food? Necropsies done on thousands of stranded animals confirmed the above. All the adults are severely dehydrated. They have no fresh food in their stomachs. Both are clear indication that they had not fed in weeks. If they can not dive and feed, they certainly can not echo-navigate. But whale scientists refuse to accept that anything lost at sea, dead, or alive, will always swim or float downstream with the flow of the water. Now for a tricky two-part question: If a pod of whales becomes lost at sea for any reason, where are humans likely to encounter them and why? The answer to the first part is on a sandy beach where pods usually strand. As for why, they are much more likely to strand on a sandy beach because the energy that is guiding them downstream is the current, the same energy that carries each grain of sand to build the beaches where whales strand. 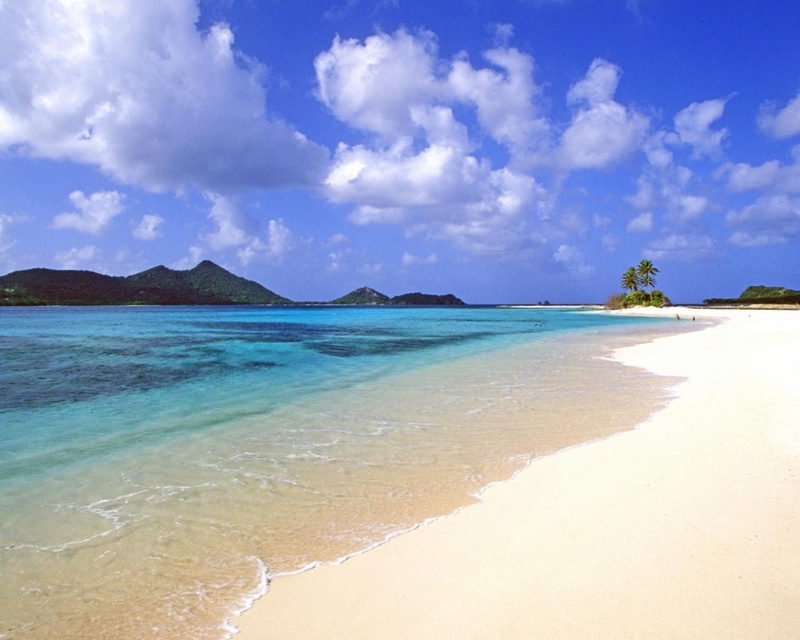 In other words, you find both sand and stranded whales where currents regularly wash ashore. Where currents do not wash ashore on a regular basis, you will usually see rocks and mud and no whales unless a not-so-common strong shoreward wind steers the surface currents into the rocks or backwater bays. Let us go one step further. Imagine we are watching a live-streaming video taken by a drone. We can see a pod of 100 whales swimming downstream just about to run into the beach and get stuck. We must ask ourselves if all the whales are lost, Or, we must ask is this a funeral procession in which 98 healthy individuals are following one of two sick ones that just want to go ashore to die? The number one telltale sign is whether the pod is swimming ashore at the same time the current is flowing ashore. If so, the funeral procession seems unlikely. Keep in mind that following a sick leader, or maybe two, is the #1 theory of US Navy sponsored whale scientists. They have repeated this concept in a propaganda-like manner since Congress approved the Marine Mammal Protection Act in 1972. This law contains 17 clauses that say our government must protect whales based on the "best scientific information available." Sounds great! It means that if most scientists agree that whales are attending a pod leader's funeral, then pushing the 98 supposedly healthy mourners off the beach without giving them any fresh water, food, or medical treatment does not violate the Marine Mammal Protection Act of 1972! It also means that if only one or two are injured as stated by whale scientists, then it is okay to beg the public to donate hard-earned cash to free the 98 that are supposedly healthy. On the other hand, if the entire pod is injured, then a donation will only benefit the hungry sharks waiting offshore and the money-hungry executives of the save-the-whale nonprofit groups. However, if I am right when I say the whales are doomed, then the ones who should pay to clean the beach is the local governments and businesses that make money off the tourists. Now ask yourself, has there ever been a time when one of two whales swam into the sand and died while 98 whales lingered in the shallow water waiting for them to die? If so, did the 98 mourners swam away with their heads hanging low after the two sick ones died? Nope, no one has ever observed such behavior. In all cases, the entire pod swims ashore with the incoming rush of the current. It is not a whale funeral. The whole herd swims blindly into the sand because they have lost the ability to echo-navigate! WHY HAS THE ENTIRE POD LOST ITS BIOSONAR? There are two main ways to disable the biosonar of an odontocete (toothed whale). One is an explosion that breaks the hair cells of their inner ears. The cochleas are not easy to damage because evolution has made the ear bones of whales as hard as steel. The reason the cochleas are hardened is that an injured cochlea is not likely to heal. The other cause of a pod beaching involves echo-navigation failure due to barotrauma in the cranial air spaces of the entire pod. "The structure of the two vertically oriented air sacs that bound the ends of the spermaceti organ to suggest that they are sound mirrors. The posterior sac (the frontal sac) possesses a knob-covered posterior wall that is probably an adaptation allowing maintenance of the sound mirror in any body orientation and during deep dives, Finally, this complex anatomical system is suggested as a device for the production of long-range echolocation sounds useful to the sperm whale in its deep sea habitat, in which food must be located at considerable distances in open water." "It is very easy to imagine a condition in which the air-sac system has broken down, so that it is no longer reflecting, and, with the isolation of the essential organs of hearing disrupted, the animal may lose its sense of direction." "The cetacean accessory sinus system is unique; these un-pigmented mucosa-lined structures, which are located on the ventral aspect of the skull, are typically associated with hearing and acoustic isolation of the ears. The ventral sinus system is distinguished from the dorsal air sacs by appearance and function; the lining of the dorsal sacs is composed of pigmented epithelium and these sacs are associated with sound production." Chinese whale scientists have also proven barotrauma in cranial air cavities will indeed disable echo-navigation and echolocation. They recently published several research papers in The Journal of the Acoustical Society of America. TITLE: The influence of air-filled structures (cranial sinuses and air sacs) on wave propagation and beam formation of a pygmy sperm whale in horizontal and vertical planes! ABSTRACT: The wave propagation, sound field, and transmission beam pattern of a pygmy sperm whale were investigated in both the horizontal and vertical planes. Results suggested that the signals obtained at both planes were similarly characterized with a high peak frequency and a relatively narrow bandwidth, close to the ones recorded from live animals. The sound beam measured outside the head in the vertical plane was narrower than that of the horizontal one. Cases with different combinations of air-filled structures in both planes were used to study the respective roles in controlling wave propagation and beam formation. The wave propagations and beam patterns in the horizontal and vertical planes elucidated the important reflection effect of the spermaceti and vocal chambers on sound waves, which was highly significant in forming intensive forward sound beams. The air-filled structures, the forehead soft tissues, and skull structures formed waveguides in these two planes for emitted sounds to propagate forward. What these Chinese scientists have just confirmed is that air-filled structures (cranial air spaces, sinuses, and air sacs) form acoustic waveguides that project echo-navigation and echolocation clicks forward. Like Professor Norris and his group determined 40 years ago, the air pockets act like acoustic mirrors bouncing the sonar clicks in the direction the individual whale wishes to insonify. Common senses that any trained scuba diver can verify says that if rapid and excessive pressure changes generated during natural undersea upheavals damage these critical air-filled-structures the whales will lose their ability to focus their echo-navigation beams and to echolocate their food. Moreover, if the air-filled-structures are ruptured, the whales will also lose their ability to dive! No diver can dive with busted sinuses; the pain would be too extreme. ABSTRACT: The melon of dolphins is considered by many as the structure responsible for the focusing of the biosonar beam. However, finite element numerical simulation of the head of the Chinese river dolphin indicates that the biosonar beam is formed by reflections off the air-sacs and bony structures in the skull. The finite element approach was applied to numerically simulate the acoustic propagation through dolphin's head in four situations (complete head, skull only, skull plus melon, and skull plus air-sacs). The acoustic intensity distribution and the corresponding polar plots showed that the melon causes the beam to narrow slightly and affects the angle of the main beam. The air-sacs kept the sound propagating to the anterior and focuses the energy into the main lobe. The bony structure prevented the sound from propagating below the rostrum and contribute to energy in the main beam. The results suggest that the air-sacs and the complex bony structure play a dominant role in the formation of the biosonar beam of a dolphin, more so than the melon. My hypothesis is that intense changes in diving pressure generated during natural undersea upheavals damages the air sinuses and air-sacs and disables their biosonar. The lost whales end up swimming downstream to a sandy beach. Moreover, this has been going on since ~35 million years ago when odontocete first developed a working biosonar. In fact, my Undersea Seismic Upheaval Hypothesis (link) is in total agreement with the scientists mentioned above. Both seaquakes and military sonar would induce barosinusitis and indeed cause the breakdown of the air sac system, which would result in the whales losing all sense of direction. In fact, Dr. Purves' comment was what caused me to start researching barotrauma in mass stranded whales. In 1966, the US Navy admitted that pressure disturbances during a seaquake could kill and injure marine life. (see SUMMARY on page 59: “Marine life can be destroyed by seaquakes.”) If the US Navy tells you marine life can be killed by seaquakes, you can bet that the sinus cavities of a pod of diving whales can be injured in a fashion that knocks out their biosonar system. On the other hand, if the US Navy is bribing the whale scientists with grant money to the point that they agree most stranded whales are healthy and should be pushed back into the water, then a conspiracy to violate the Marine Mammal Protection Act is indeed in full bloom. Ask yourself has there ever been a time when one or two whales swam into the sand and died while 98 whales lingered in the shallow water waiting? And then when the two sick ones died, the other 98 healthy ones swam sadly away. Nope, no one has ever observed such a funeral. In all cases, the entire pod swims ashore with the incoming rush of the current. Now you have to decide if this is a funeral gone wrong, or has the entire pod lost their ability to echonavigate? The Truth is, the entire pod has lost it's biosonar system and will soon die! Think about it this way: rapid and excessive changes in water pressure during a dive is every diver's worst nightmare come true. Toothed whales and dolphins are not exceptions. These diving mammals have massive head sinuses. In fact, excluding bone and brain tissue, roughly 30% of the total volume of the head of a pilot whale or a beaked whale is air enclosed in various sinuses, air sacs, and middle-ear air chambers. Calling these whales airheads is technically correct. Instead of looking at the possible loss of acoustic navigation, whale scientists keep repeatedly telling you that healthy whales follow a sick pod member to the beach because they love each other too much. This is nothing more than US Navy propaganda. There are two ways to knock out the biosonar of an odontocete (toothed whale). One is a US Navy or oil industry explosion that breaks the hair cells of their inner ears. Cracking the ear bones of whales is not too easy because evolution has made them as hard as steel. The reason is simple. A deaf whale is likely a dead whale because of the time it would take these hard bones to heal. The more likely truth is that pods of whales and dolphins (odontocete) mass strand because they are no longer echo navigating due to barotraumatic injury in their cranial air spaces. "The structure of the two vertically oriented air sacs that bound the ends of the spermaceti organ to suggest that they are sound mirrors. The posterior sac (the frontal sac) possesses a knob-covered posterior wall that is probably an adaptation allowing maintenance of the sound mirror in any body orientation and during deep dives. Finally, this complex anatomical system is suggested as a device for the production of long-range echolocation sounds useful to the sperm whale in its deep sea habitat, in which the animal must locate food at considerable distances in open water." Drs. Alex Costidis and Sentinel A. Rommel recently confirmed the acoustic purpose of the sinuses (Link). "The cetacean accessory sinus system is unique; these un-pigmented mucosa-lined structures, located on the ventral aspect of the skull, are typically associated with hearing and acoustic isolation of the ears. The ventral sinus system is different from the dorsal air sacs by appearance and function; the linings of the dorsal sacs are composed of pigmented epithelium, and these sacs are associated with sound production." Just recently. Chinese whale scientists have proven barotrauma in cranial air cavities will indeed disable echo-navigation and echolocation. They recently published several research papers in The Journal of the Acoustical Society of America. The influence of air-filled structures (cranial sinuses and air sacs) on wave propagation and beam formation of a pygmy sperm whale in horizontal and vertical planes! What these Chinese scientists have just confirmed is that air-filled structures (cranial air spaces, sinuses, and air sacs) form acoustic waveguides that project echo-navigation and echolocation clicks forward. Like I said 40 years ago, the air pockets act like acoustic mirrors bouncing the sonar clicks in the direction the individual whale wishes to insonify. If rapid and excessive changes in ambient diving pressure generated by natural seismic upheaval in the seafloor damage these critical air-filled-structures, the whales instantly lose the ability to focus the acoustic clicks they use to eco-navigate and to echolocate their food. And if the air-filled-structures are ruptured, the whales will also lose their ability to dive! No diver can dive with busted sinuses; the pain would be too extreme. There is another problem if barosinusitis prevents the whales from diving more than about 5 feet. The acoustic energy required to ensonify the seafloor with eco-navigating clicks and have the clicks bounce back to the sender is relatively high. It could easily be that the navigation clicks above 220 decibels will establish cavitation (air bubbles) in such shallow water. Odontocete might need to be below 100 feet before acoustic navigation in deep water will function especially in today's acoustically polluted ocean. In my opinion, intense changes in diving pressure generated during seismic upheavals on the seafloor traumatize the air sinuses and air-sacs which in turn disables their biosonar. The lost whales end up swimming downstream to a sandy beach. And this has been going on for ~35 million years, shortly after they first developed a working biosonar system. In fact, my Seaquake Hypothesis (link) is in total agreement with all the scientists mentioned above. Both seaquakes and military sonar will induce barosinusitis and indeed cause the breakdown of the air sac system, which would result in the whales losing all sense of direction. In fact, Dr. Purves' comment was what caused me to start researching barotrauma in mass stranded whales. In 1966, the US Navy admitted that pressure disturbances during a seaquake could kill and injure marine life. (see SUMMARY on page 59: “Marine life can be destroyed by seaquakes.”) If the US Navy tells you seaquakes can kill marine life, you can bet that a seaquake can injure the sinus cavities of a pod of diving whales in a fashion that knocks out their biosonar system. The cranial air chambers (aka acoustic mirrors) in the head of a dolphin. The back third of the lower jaw, known as the pan bone, is very thin (white). Its internal fat fills the hollow region within the lower jaw and terminates near the ear complexes. The air-filled maxillary and peribullary sinuses are large and also form acoustic shields (mirrors) to isolate the two ears from one another. Enclosed sinus and air sacs make up 30% of the volume of the heads of beaked whales--this is likely why military sonar so easily injures them. The same holds true for pilot whales, explaining why they are injured so often by seaquakes. The more air you have in your head, the more likely you are to be injured by sudden changes in diving pressures. As pressure builds during a dive, a scuba diver's regulator furnishes compressed air to keep the sinuses at their average surface volume thereby preventing sinus squeeze. Even though whales have no scuba tanks, the air in their cranial air pockets still maintains surface volume even on a deep dive. Evolution has rearranged the sinuses so that as increasing ambient pressure reduces the volume of air during a dive, the whale can shift compressed air from the lungs into the sinuses to keep them properly inflated to ensure that their biosonar continues to function at depth. Moving the air from the lungs does not cause a lung squeeze because the ribs are hinged allowing the lungs to collapse almost flat. In this fashion, deep divers have lots of air to fill their sinuses and keep their biosonar system working down to their maximum diving depths, which they reach when all the available air in their lungs shifts to the cranial air spaces. Leaking cranial air spaces will also prevent them from diving deeper than a few feet. Since they can not dive and can not echolocate their food, they will always arrive at the beach with only non-digestible squid beaks, fish bones, and sometimes plastic in their stomachs. They are starving and sometimes swallow plastic bags flapping in the waves mistakenly thinking they were squid or octopus. Non-digestible stomach contents is a consistent finding of all mass stranded adults. And because all their fresh water comes from the food they eat, they are always severely dehydrated, another consistent finding. With a little honest research, we could narrow the time since their last feeding down to within a few days. We could then multiply the number of days by their estimate downstream swim speed. We could tell about where they were when they became confused and lost their acoustic sense of direction. We could then look around for a catastrophic pressure disturbance on the seafloor, a sonar encounter, or a nearby explosion that might have generated severe pressure disturbances. THE SIMPLY WAY TO SEE THE TRUTH! Whale scientists could easily verify echo-navigation failure by simply watching a pod of whales swimming either on the way to a beach or away from the beach after a so-called successful rescue. It matters not if they are headed to the beach or swimming away, a lost pod of whales will ALWAYS swim downstream with the flow. Scientists and the public have both observed whales swim to the beach with both the incoming tide and the wind-driven currents. Both scientists and the public have observed a previously stranded whale swim away from the beach when the tidal and wind-driven currents are washing out to sea. We witness this all the time both in person and in hundreds of videos. But neither the public nor the scientists make a point of the fact that 100% of all mass-stranded whales and dolphins are always swimming with the flow of the surface currents when they go ashore or when they are pushed back out to sea. It could not be any more obvious that stranding whales and dolphins are not navigating when they arrive at the beach or when they swim away. They are always swimming downstream with the flow. And they are always dehydrated and have no fresh food in their stomachs. Another dead giveaway is that they can not dive and feed themselves. Their biosonar system is simply not working. Scientists and rescue people never mention that pods of toothed whales do not dive under the water as they slowly swim down current and away from the beach after a so-called successful rescue. If you rely on whale scientists or rescue teams to explain things to you, you will never find out the truth. Instead, observe and think! Ask any open-water-trained scuba diver. They will tell you that the flow of the current is a force that disrupts diving and disorients divers as much as any other. Unless carefully calculated, monitored and accounted for, oceanic currents, even in the mildest form, can cause difficulties for unsuspecting divers. Drag forces can sweep them away from the boat, causes shore divers to miss the planned exit location and, when strong, it physically taxes divers as they labor to swim against it. MORE ON WHY BEACHED WHALES AND DOLPHINS ALWAYS SWIM DOWNSTREAM? If a diver becomes lost in a current, rescue teams can be assured that he or she will end up swimming with the flow. Why is it true that lost divers, whales, and swimmers always swim the flow and never against it? You can feel the density of air by putting your arm out of a car window at 50 mph. You will immediately feel the strong resistance to the speeding wind, but you can still hold your arm fairly straight. But if you put your arm around the side of a small boat moving at only ten mph, the drag in the water makes it impossible to keep your arm submerged. In other words, when whales or scuba divers swim upstream against a current, the currents push back in the form of powerful drag forces. When a healthy pod of whales is echo-navigating to a new position, they can easily swim upstream against the drag of a 3-knot current because they know where they are going. On the other hand, when a pod of non-navigating whales tries to swim upstream, the increased drag forces turn their streamlined bodies around and points them head first in the downstream path of least drag without them even realizing it. Just like water always flows downhill, non-navigating whales, lost scuba divers, and lost swimmers always swim with the flow. There are no exceptions. Even lost logs always float downstream. How stupid are whale scientists never to recognize such a simple observation? They see, and they know what is happening. You would be sadly mistaken to think they don't know that non-navigating whales always swim downstream! The whales have no other choice! Lost whales have no idea the current is controlling the direction in which they swim. Said a bit differently, if the wind-driven surface currents, including the force of the incoming tide, are flowing to the beach, a pod of non-navigating whales will always swim towards the beach. The human chain in the above video is trying to prevent the whales from swimming back to the beach with the flow. They will continue their efforts until the tidal flow and the wind-driven currents are flowing out to sea. Then they will no longer be needed since the pod of lost whales will swim away from shore on their own. Lost whales will swim around in any and all direction with no idea which way to swim if there is no current to guide them. Open your eyes and look! It is so easy to see. If you want to see non-navigating whales swimming back out to deep water, push them off the beach when the tide is flowing away from shore. You can only rescue stranded whales by using the outflow of the current. When the wind-driven currents are blowing in towards the beach overpower the tidal currents flowing out to sea, the rescue teams must either kill the whales or load them on trucks and transport them overland to a different beach with a strong outflow. Whale scientists could easily and cheaply prove it to themselves and the world by following a hundred meters behind the next rescued pod. If the freed whales constantly swim downflow, they have no acoustic sense of navigation. If the pod does not dive to catch a meal, the pod is obviously suffering diving-related barotrauma! How simple it is! I would even pay all the expenses and the steer the boat myself to verify the effort was not faked by one of the scientists. And the scientists could verify that I did not fake the outcome! But such a simple, cheap experiment will never be conducted because the whale scientists already know the outcome. FORGIVE ME FOR POUNDING THE TABLE. Current is the energy that both builds and erodes beaches; therefore, non-navigating whales, dead or alive, will be guided by an incoming tide and/or wind-driven current to a sandy area that is in the process of building; not to areas where the current is carrying to sand away. Large and small land masses that extend out to sea opposing the downstream flow, like Cape Cod, Farewell Spit, and Cape Sorrel, trap a lot of sand along with a lot of lost whales. In fact, every popular standing spot around the world serves as a giant catching-arm system for both lost whales and sand. All you have to do is understand one simple truth: all mass stranded whales have previously suffered a diving-related injury that caused the failure of their acoustic sense of direction. Close your eyes and try to swim across a flowing river if you don't believe that lost whales and lost swimmers always swim downstream. You will never reach the other shore. Or, if you are afraid to blindfold yourself in a river, put a rubber duck in a bathtub, stir the water, and watch it float down current. Resistance to the flow of the upstream current turns everything swimming or floating in the water with no sense of direction and points it downstream. No exceptions! ALL STRANDED WHALES, DEAD ARE ALIVE, ARE ALWAYS SWIMMING WITH THE FLOW OF THE CURRENT WHEN THEY WASH ASHORE! AND ALL LIVE STRANDED WHALES ARE DEHYDRATED WITH NO FRESH FOOD IN THEIR STOMACHS! The above facts prove that pods of stranded whales and dolphins had lost their acoustic sense of direction long before they arrived at the beach. Constantly swimming with the current is the key to unraveling the centuries-old mystery of why whales and dolphins beach. Whales with a working navigation system would never swim into the beach. They know that such an act is suicidal. Whales Evolved 55-Million Years Ago From 4-legged racoon-like animals. They had air sinuses and middle-ear air chambers like present-day canines. Over the next 20 million years, while these early dolphins slowly evolved a working biosonar system, evolution took advantage of the acoustic reflectivity of the air in their cranial sinuses. This bit of evolution was to be expected simply because sound waves underwater bounce off air pockets like light bounces off mirrors. The original canine cranial air sinuses began to function as acoustic reflectors, serving the newly evolved whales by directing sound around in their heads in a way to sharpen their ability to echolocate and echo-navigate. Evolution transformed cranial air spaces into organs of hearing just as critical to the workings of odontocete biosonar as are their cochleas. Echo-navigation and echolocation of their food is as impossible for toothed whales with busted sinuses as it would be for whales with busted cochleae. As toothed whales became better adapted to diving deeper and deeper, the evolutionary remodeling taking place in the cranial air spaces created an entirely new set of problems. AS EVERY SCUBA DIVER KNOWS! Rapid and excessive changes in the surrounding (ambient) water pressure during a dive will injure the sinus membranes and may damage middle ear air cavities. The same would happen in an airplane flying at 30,000 feet if the cabin suddenly lost pressure. In fact, any sudden change in ambient air pressure (water pressure for divers) more than any counterbalance mechanisms can cause barosinusitis and severe pain. As a diver, if you suffered a serious sinus injury, especially barotrauma in your middle-ear air chambers, you would lose your ability to sense acoustic direction and might even become stone deaf. A pod of dolphins would suffer the same only much worse. They could not dive more than a few feet due to severe sinus pain. Even if they tolerated the pain, they could not echolocate their food. Nor could they echo-navigate the open ocean. They would be acoustically blind. In other words, the entire pod would be in serious trouble if some upheaval of nature generated a series of rapid pressure changes that caught them by surprise during a feeding dive. Catching them off guard is an important factor simply because, if they hear a dangerous sound approaching from a distance, they will move away before injury occurs. It's similar to dolphins swimming away from the sound of killer whales approaching. On the other hand, the approaching sound might fool them. For example, suppose a navy sonar boat turns on its transducers for a short period near a pod of beaked whales who aggressively protect their territory. The pod might swim in the direction from which the sound came and prepare to fight off a group of unknown intruders. As they approach nearer to the sonar vessel, suppose the navy blasted the area again with powerful sonar. It does not take but a few seconds to induce a deadly sinus barotrauma in a group of diving whales when caught be a surprise too close to a loud sonar. Beaked whales are especially vulnerable to navy sonar because they are aggressive and usually scarred up from fighting among themselves. Now watch this video about an underwater earthquake recorded 900 miles from the epicenter. The first sounds traveled a bit faster through the solid seafloor with the noise bleeding into the water above. The last set of vibrations traveled 900 miles through the water and almost destroyed the hydrophones. Keep in mind that rapid pressure fluctuations during a seaquake (at ~7 cycles per second) are especially dangerous for deep sea divers because the volume of air in their enclosed air spaces rapidly increases and decreases during each second of exposure. On the other hand, bodily tissues, blood, and bones remain the same. During rapid changes in air volume, the fluttering of the air in the sinus cavities causes substantial pressure differentials at the air-filled interfaces inducing shear forces that tear, bruise, and disrupt tissues, membranes, and blood vessels. This type of injury happens because the volume of air inside the cranial air spaces bounces back and forth in lockstep with the external pressure changes. On top of this, each acoustic cycle consists of two different phases. One is positive pressure, and the other is negative pressure. Both phases have equal intensity. One phase is a vacuum; the other is high pressure. This means that when a diving whale is exposed in the near field to the hydroacoustic vibrations from the average undersea earthquake or volcanic explosion, the volume of air in its sinuses will compress and expand 14 times every second. Evolution did not correct this vulnerability because sinus injuries helped the species survive and proper. Pelagic odontocete was so successful several hundred years ago that they could have easily overgrazed on the squid breeding stock if there was no mechanism in place to control their numbers. Seafloor seismic upheavals served the balance of nature by providing this control. Nature thinned out 5-6 pods every month from a popular feeding area thereby keeping a sustainable balance. This process was not harmful to the species because the injured pod would swim downstream with the current for 2-3 weeks until their injuries healed and they regained the ability to dive and feed. Since they had no acoustic memory of how to get back to their old feeding grounds, they were forced to find a new habitat, thereby spreading the species all around the globe. Nature always balances things. BUT THE SITUATION IS MUCH DIFFERENT TODAY! Recovery was easy back then because a billion schools of small fish and squid tightly balled together a foot or so below the surface filled the ocean. The injured pod would huddle in a tight group for protection against sharks and swim blindly downstream. They could spy hop and see birds in front of them diving and feeding on the surface schools. The senior pod members knew this meant that a life-saving meal was below where the birds were diving. All the seaquake-injured odontocete had to do was swim into a packed school with their big mouths wide open and catch a meal every few days. They stayed hydrated and supplied with enough nourishment to sustain them during a 2-3 week recovery period. Evolution was happy with this arrangement because it was a perfect solution; it thinned the over-populated areas while at the same time spreading the species all around the globe. However, now that the fishing industry has spread their huge nets along the surface and removed 90% of all the surface schools on which the seaquake-injured pods needed for recovery, far fewer pods survive today than did a few hundred years back. IF INJURED WHALES FIND A SCHOOL OF SURFACE FISH EVERY FEW DAYS, THEIR SINUSES WILL HEAL, AND THEY CAN RETURN TO A NORMAL LIFE! In the days of our great-grandparents, sinus barotrauma usually healed within a few weeks. Evolution's solution to overcrowding on certain feeding grounds was to allow seaquake injury to simply move a few pods several thousand miles away and force them to find a new feeding ground. However, with very few schools of surface fish to help them recover, seaquake-induced sinus barotrauma is an extremely deadly injury today. There is only one thing humans can do to save pelagic odontocete: we must decide if we want to stop eating sardines or protect our whales. Here is another problem: Barotrauma is the most common injury in scuba diving and no doubt the most common injury in pelagic odontocete that dive and feeds 2-3 times every day over the mid-ocean ridges, the most quake and volcanic-prone territory on Earth! HOW DO WE GET OUR WHALE SCIENTISTS TO BE HONEST? 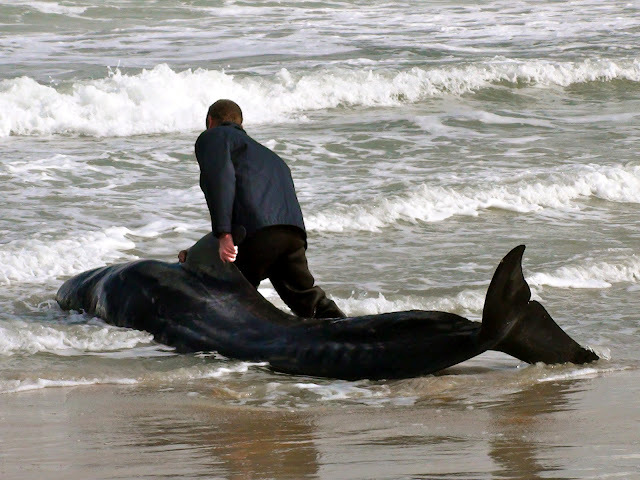 Whale scientists have never investigated sinus barotrauma as a cause of strandings. Nor have they ever investigated sinuses injuries induced by undersea natural upheavals. This failure to look at the most likely cause of mass beachings is not due to stupidity! They do not investigate undersea upheavals and sinus barotrauma because the injury is identical to the injury caused by undersea explosives, navy sonars, and oil industry airguns. The next question is how do the US Navy and the oil industry prevent whale scientists from telling the truth? The answer is very simple! These two groups fund 97% of all whale research worldwide. Whale scientists need to protect the source of their funds, just like cancer researchers protected the tobacco industry back in the 1950s when big tobacco paid for all the lung cancer studies. Crooked scientists are everywhere and willing to sell their honor for a few dollars -- this is simply a fact of our times. WHALE SCIENCE IS FOR SALE! As an example of the influence money has on research, take a look at a recent book published on the workings of the biosonar system of whales. The title is Hearing by Whales and Dolphins edited by Whitlow W.L. Au, Richard R. Fay. Although the acoustic function of the air sacs and sinuses is mentioned 25 times as being necessary for the working of the biosonar system, the word barotrauma gets one vague mention. I say again--pressure related sinus barotrauma is no doubt the most common injury in odontocete whales just as it is in human divers. The reason this is true is that the cranial air spaces are the most vulnerable part of any diver's anatomy, and the easiest to heal if provided with nourishment and fluid to keep the immune system in top working order. THERE IS A SCIENTIFIC COVER-UP! Try to find a science article explaining barotrauma in the world's most prolific divers. You will not find such injuries discussed anywhere in the scientific literature no matter how long you look. Scientists practice a weird code that allows them to ignore common sense unless some other scientists publish a paper to say that common sense is scientifically sane. No whale scientists have ever published a paper saying barotrauma is a frequent injury to the world's most prolific divers, so other scientists have no evidence to support the concept. This is how "no scientific awareness" becomes the "best scientific information available." ODONTOCETE HEAR IN FULL STEREO! Toothed whales and dolphins (odontocete) also have a unique grouping of air sacs situated in the space between their two cochleae. These pockets of air and oily foam serve to isolate/insulate the left, and right organs of hearing from each other in the same fashion as a pair of stereo headphones isolate the sounds entering your left and right ears. If diving whales lose the ability to hear in full stereo, they automatically lose their sense of direction. If they lose their sense of direction, they end up exactly like the whales depicted in the Nat-Geo video at the top of this article! As I told you before, barotrauma in the cranial air spaces stops them from diving due to pain. If they are not diving to the depth of their natural prey, they are not feeding. Since all their fresh water comes from the food they eat, it is easy to understand why they consistently show up on the beach suffering severe dehydration with only non-digestible squid beaks, a few pieces of floating plastic, maybe a knot of floating rope, and the hard bones of fish ears in their stomachs. Imagine that a pod of pelagic dolphins is on a deep feeding dive when a natural catastrophic event in a rocky seabed suddenly erupts below them. If the seafloor dances in the vertical plane, the up and down jerking pushes and pulls at the bottom of the water column causing rapid and excessive changes in diving pressures. This means that an entire exposed pod would suffer barosinusitis at the same time. Since the nursing young do not make the deep feeding dives because they lungs are not fully developed, they would be the only ones not injured. When the injured pod finally reaches the surface, the adults would be as lost as a blind man thrown overboard in the middle of the deepest ocean. Seaquakes rock big oceangoing trawlers and can quickly wipe out oil tankers so you can safely bet that these events can also injure pods of diving dolphins and whales. If you doubt there is a danger, please read the vessel - seaquake encounters detailed on these two pages (1750 to 1899) (1900 to present). This system of enclosed air spaces is an evolutionary marvel; however, there is an inherent danger when diving to great depths with a head full of compressed air. The tissues, ligaments, and membranes surrounding, attached to, or near these air cavities are susceptible to injury when a series of sudden oscillations in the ambient water pressure causes the volume of the air to fluctuate so rapidly and excessively that it cannot be counterbalanced by the whale's pressure-regulating anatomy. Whales have bundles of blood vessels that lay flattened against the inside of the sinus walls, taking up very little space. When the pressure suddenly increases, and the sinus air is compressed, these blood vessels suddenly engorged themselves to occupy the extra space and prevent a sinus squeeze. The reverse happens when the pressure decreases. However, the amount of blood that can rush in and out of these chambers is limited by the diameter of the blood vessels as they course through bony channels in the skull. This means there are occasions when excessive and rapid pressure vacillations extended in time to overcome this protection. Said differently, the evolved protection is vulnerable to over and under pressures generated during undersea earthquakes, explosive volcanic eruptions, the violent impact of a heavenly body with the water's surface, underwater explosions, military sonar, and oil industry airguns. These disturbances generate waves of sudden changes in diving pressures that are super hazardous to all divers who venture below the surface with enclosed pockets of air. The list of animals that might be injured includes whales, dolphins, manatees, walruses, penguins, polar bears, fish with swim bladders, sea otters, sea turtles, and human divers. Imagine a pod of pelagic toothed whales or dolphins (odontoceti) feeding on squid above the mid-oceanic ridge system when a violent mid-size earthquake suddenly erupts below them. Not much happens if the seafloor moves from side to side (horizontal) because water will not transfer shearing motion. It's like turning your boat paddle sideways. On the other hand, if the seabed dances vertically, the rapid up and down piston-like motion of the rocky bottom pushes and pulls at the water column, generating powerful low frequency (LF) changes in hydrostatic pressure that travels towards the surface at 1,500 meters per second. Most whale scientists pretend to be clueless when it comes to earthquakes in the seafloor. They do not want to talk about anything that the US Navy and the oil industry (their source of money) does not approve. They say that quakes of similar magnitude must be equally dangerous, but this is simply not true. The intensity of any changes in pressure is not so much related to magnitude as it is to the peak ground acceleration of the shifting seabed and the depth of the quake's focal point below the rock/water interface. The faster the seafloor dances up and down, the greater the pressure changes in the water. Even more dangerous pressures enter the water when the focal point of the rupture is only a few kilometers below the rock/water interface. In other words, there are great differences between the danger of seaquakes of equal magnitude. During events focused less than ~5 km deep, the seismic p-waves reach the rock/water interface long before the energy spreads out and weakens. More so, when focused less than ~5 km, one complete phase of a seismic p-wave is longer than the distance from the focal point to the rock-water interface. This quirk opens a mysterious window NOAA physicist Dr. Oleg Godin calls an anonymous transparency. Seismic p-waves that do not complete one entire phase in the rocky bottom can slip through the rock/water interface without reflection, refraction, or diffraction. Dr. Godin stated that this transparent interface not only exists between water and air but also between the solid seafloor and the water. In other words, undersea earthquakes greater than 4 mag; and less than 6 can be extremely dangerous if the focal point in near the rock/water interface. In deeper quakes of greater magnitude, the dancing seafloor becomes like the faceplate of a gigantic sonar transducer 10 miles in diameter. However, unlike military sonar, airguns, and explosives, most of these strong, deeper quakes give off various precursors signals that whales can detect in time to swim hundreds of miles away (link). It could be no other way because strong quakes generate shocks that could kill every whale within 150 miles of the epicenter. As an extreme example, NASA physicists estimated the shock wave of a 7.5 seaquake at 6,000 kilobars (100,000 pounds per square inch) one meter off the seafloor (link). Whales could never have thrived in our seismically-active oceans unless they were masters at detecting precursors from strong/major earthquakes. These intelligent marine mammals should be able to teach us how to predict major earthquakes weeks before they occur if our scientists would only stop lying about why they strand (Link). Said differently, denying the truth about why whales beach themselves is preventing humans from learning how whales detect major quakes long before they occur. In other words, ignorance of the association between whales and seismic upheavals is no doubt killing thousands of humans every year. We know that healthy toothed whales and dolphins use sound to find their way around in the open sea. They produce loud clicks by moving air back and forth within their elaborate nasal air sac system. The lower jaw, in a modified form of bone-conduction, receives the echoes that bounce back from the seafloor. From the jaw, these vibrations are transferred into a fat-filled channel and then carried in acoustic fat to the cochlea (inner ear). The brain then compares the sonogram of the echoes with memory. They know where they are because they were there before. The intensity of the echoes entering the fat-filled channels depends on the angle of the lower jaw to the source. In the simplest terms, all a toothed whale needs to do to read the returning echo is to scan her head back and forth and up and down until she extracts all the vital data she needs to pinpoint her location. Since the whale focuses the outbound clicks via the oil-filled melon by bouncing sound off the air sinuses, there must be a mechanism to isolate/insulate the two cochleae otherwise the volume of the outgoing clicks would overwhelm the returning echoes. This acoustic isolation of the two inner ears is accomplished by surrounding them with a mixture of air and foam contained in a grouping of air sacs called the pterygoid sinuses. The middle ear also has a set of enclosed air spaces that aide echo-navigation. Air works as the perfect sound barrier underwater because the acoustic impedance mismatch between air and water causes water-borne clicks to reflect off the air spaces like light reflected from a mirror. To drive home the point... air serves not only for acoustic isolation but also to reflect sound in the proper direction to ensure the function of their navigation system. Let something go wrong with the sinuses, or the air sacs and the whales can no longer navigate. Nor can they dive and echolocate their prey. They become lost at sea and unable to feed themselves. Since their fresh water comes from the food they eat, they soon become dehydrated as well as malnourished. The degree of injury in the internal sinuses and middle-ear air cavities will depend on the percentage of change in the surrounding water pressure coupled with the duration and frequency of the infrasonic waves. The nearer the whales are to the surface, the more danger they face because the percentage of change is greater in shallow water. As an example, imagine a pod of diving whales suddenly exposed to potent oscillating changes in ambient water pressure at ~ten cycles per second while only 10 meters below the surface where the absolute pressure is ~30 pounds per square inch (psi). Suppose a seaquake has induced absolute pressure changes oscillating between ~90 psi above ambient followed by a negative phase ~90 psi below ambient. The air in their enclosed air spaces will suddenly compress to 1/3rd of its normal volume on the positive pressure phase and then expand a microsecond later to 3 times normal volume on the negative pressure (600% change). These changes in air volume will occur maybe ten times per second for up to one minute. “Dolphin carcasses can suffer essentially no significant damage in the received range of 10 to 15 psi and significant damage to some organs above 25 psi. At 300 psi, dolphins, well, basically, the dolphins are mush. For comparison, 20 psi is about the pressure a 200-lb. man's shoe heel exerts on a floor when he walks, and a large dog's jaws can produce 400 psi of pressure when it bites." The above results would not be the same in a living dolphin for two important reasons: (a) the sinuses and air sacs collapse after death so would not be exposed, and (b) an explosion is a split-second exposure as opposed to a seaquake that might last up to one minute. Diving whales might be exposed to 20 seconds of continuing pressure changes during an average undersea quake. When the sinus membranes tear, air mixed with loose blood will escape into the head forcing the sinuses to close. The membrane might heal in a week or so, but how long would it take the whale to absorb the loose air and blood from his head? The injury might also be in the accessory air pockets of the middle ear, or in many different places within the extensive system of the sinuses and air sacs. It might even be in the nerves. No matter where the injury, the resulting barotrauma will destroy their ability to echo-navigate, and prevent them from diving and feeding themselves. Their recovery would depend on a few chance encounters with a shallow school of surface fish or squid. Three weeks later they might be able to dive to 20 meters. They might reach 50 meters after another few weeks. Best guess is that the recuperation process will take 60 days depending on the original injury and on whether the injured pod can catch an occasional meal a few feet below the surface. As mentioned above, recovery would have naturally been much easier a hundred years ago because there was a great abundance of tightly packed schools of surface fish for the injury pods to eat. However, the almost complete removal of this low hanging fruit by the purse seining industry makes a recovery extremely difficult. Non-feeding whales will quickly become dehydrated because all their fresh water comes from the food they eat. Besides the loss of their sense of direction and the loss of their ability to dive and feed themselves, their other problems would be a shark attack, malnutrition, weakened immune response, and severe stress. 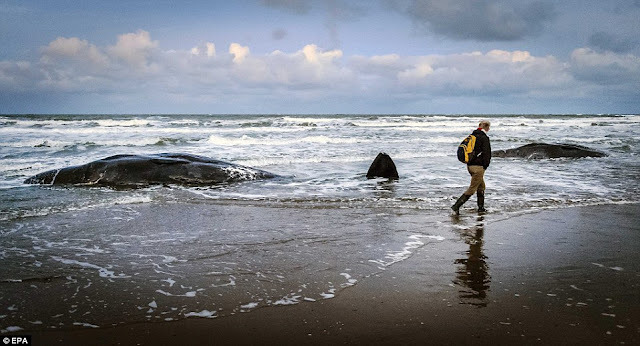 Other than an attack by sharks, being washed onto a sandy beach by an incoming tide or a strong shoreward wind-driven current would be the second worst possible outcome for the lost whales. Unless the whales are fed, hydrated, and treated for their injuries, the rescue teams are not saving whales. But they are doing some good because they are feeding sharks. There are ways to save many of these animals but who is going to spend the money that will be needed? The only real solution is to ban overfishing by the huge purse-seine fishing trawlers and give the oceans a chance to recover back to the level it was a hundred years ago. Aroyan, J. L., Cranford, T. W., Kent, J., and Norris, K. S. (1992). “Computer Modeling of Acoustic Beam Formation In Delphinus delphis,” J. Acoust. Soc. Am. 92 (5), 2539–2545. Balcomb, K. C. III and Claridge, D. E. (2003). “A mass stranding of cetaceans caused by naval sonar in the Bahamas,” Bahamas J. Sci. 2, 2–12.Sci. 2, 2–12.Sci. 2, 2–12. Brill, R. L., and Harder, P. J. (1991). “The effects of attenuating returning echolocation signals at the lower jaw of a dolphin Tursiops truncatus,” J. Acoust. Soc. Am. 89, 2851–2857. Cranford, T. W. (1988). “The anatomy of acoustic structures in the spinner dolphin forehead as shown by X-ray computed tomography and computer graphics,” in Animal Sonar: Processes and Performance, P. E. Nachtigall and P. W. B. Moore, eds., (Plenum, New York) pp. 67–77. Cranford, T. W. and Amundin, M. E. (2003). “Biosonar Pulse Production in Odontocetes: The State of Our Knowledge,” in Echolocation in Bats and Dolphins, J. A. Thomas, C. F. Moss, and M. Vater, eds. (The University of Chicago, Chicago) pp. 27–35. Cranford, T. W., Amundin, M., and Norris, K. S. (1996). “Functional morphology and homology in the odontocete nasal complex: Implications for sound generation,” J. Morphol. 228, 223–285. Cudahy, E. A., Hanson, E., and Fothergill, D. (1999). “Summary on the bioeffects of low-frequency waterborne sound,” in Technical Report 3, Environmental impact statement for surveillance towed array Sensor system low-frequency active (SURTASS LFA) sonar. Finneran, J. J. (2003). “Whole-lung resonance in a bottlenose dolphin (Tursiops truncatus) and white whale (Delphinapterus leucas),” J. Acoust. Soc. Am. 114 (1), 529–535. Frantzis, A. (1998). “Does acoustic testing strand whales?,” Nature (London) 329, 29. Fraser, F. C., and Purves, P. E. (1960). “Hearing in cetaceans: Evolution of the accessory air sacs and the structure and function of the outer and middle ear in recent cetaceans,” Bulletin of the British Museum (Natural History) Zoology 8, 1–140. Garner, E., Lakes, R., Lee, T., Swan, C., and Brand, R. (2000). “Viscoelastic dissipation in compact bone: Implications for stress-induced fluid flow in bone,” ASME J. Biomech. Eng., 122 (2), 166–172. Hildebrand, J. A. (2005). “Impacts of Anthropogenic Sound” in Marine Mammal Research: Conservation beyond Crisis, J. E. Reynolds et al., eds. (The Johns Hopkins University Press, Baltimore, Maryland). Myers, M. R. (2004). “Transient temperature rise due to ultrasound absorption at a bone/soft-tissue interface,” J. Acoust. Soc. Am. 115 (6), 2887–2891. NOAA (2001). “Joint Interim Report Bahamas Marine Mammal Stranding Event of 14-16” March 2000. Washington, D.C., US Department of Commerce and US Navy, available at www.nmfs.noaa.gov/prof-res/overview/Interim-Bahamas-Report.pdf. Norris, K. S. (1964). “Some problems of echolocation in cetaceans.” in Marine Bioacoustics W. N. Tavolga, ed (Pergamon Press, New York) pp. 317–336. Sunderland, S. (1978). Nerves and nerve injuries, 2nd ed. (Churchill Livingstone, Edinburgh). Wagner, M., Gaul, L., and Dumont, N. A. (2004). “The hybrid boundary element method in structural acoustics,” Z. Angew. Math. Mech. 84, No. 12, 780–796. Copyright 1972 thru 2018: This material is the copyrighted intellectual creation of Capt. David W. Williams, and registered with the Writer's Guild of America, Reg. No: 10608118. The reproduction and use of any part or all of this intellectual creation in any form, including film, is strictly prohibited. In particular, no part of these web pages may be distributed or copied for any commercial purpose. No part of this intellectual property may be reproduced or transmitted to or stored on any other website, or in any other form of electronic retrieval system or used in any film or book; however, you may link to this website without permission. Reference this web page as the source when quoting. Send email request for any other use.